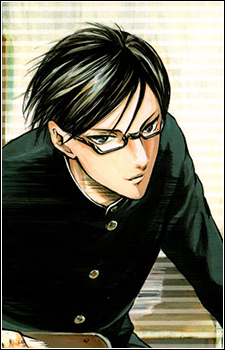 The protagonist of the series who is a model student for all in his school. He is the perfect man who can solve any problem with a kind yet calm persona. Because of this, many girls fall for him, and his male classmates resent him. Although he acts strangely sometimes (such as doing weird poses or acting sneakily), it only adds to his coolness. Sakamoto has a range of "secret skills" which allow him to do various things, such as catch bugs or blow bubbles.